Canines at the Charlotte County Sheriff's Office are learning to use a new dog-powered treadmill. Learning to us the dog-powered treadmill can significantly reduce injuries while improving overall mental and physical vitality. The CCSO Canine Unit recently purchased a Dog Trotter , best described as a dog-powered treadmill, through the Lillian J. Adams Fund for Animal Welfare. The fund, which provides annual support for the CCSO Canine Unit, is administered by the Charlotte Community Foundation . 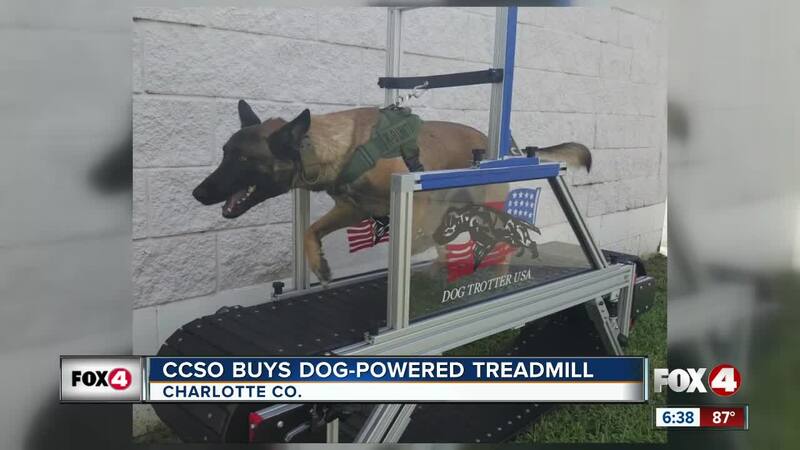 More about the new dog-powered treadmill for the CCSO Canine Units here.